Suboxone is a combination drug for patients who have become addicts of narcotic (opioid) pain medications. They include heroin, morphine, and codeine. It contains two drug molecules; Buprenorphine and Naloxone. Using this drug, it’s possible to prevent or even eliminate withdrawal symptoms that occur when people become addicts to narcotics. Of course, like any other medication, Suboxone has its own share of undesirable effects. Above all, you should learning about the side effects of Suboxone. As a result, it may help to minimize the risk or avoid complications that may occur during the therapy. 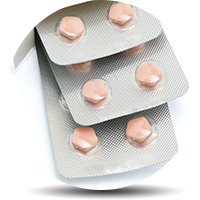 Side effects of a medication are undesirable effects that occur while you are taking it. In some cases, the side effects may linger even after you have discontinued the therapy. You can categorize the side effects of Suboxone into Major, Minor, and Long-term. This is for the ease of recognition and help you gauge the severity. What are The Major Side Effects of Suboxone? What are the Minor Side Effects of Suboxone? Generally, these are not serious in nature and most of them go away after a few weeks of treatment. Nevertheless, if any of the following side effects persist or cause trouble, you should consult your doctor. What are the Long-term Side Effects of Suboxone? These problems can wreak havoc in social and personal relations increasing your isolation and depression. In addition, you may have to bear the brunt of a strained relationship with your loved ones. What are the Symptoms that Need Emergency Medical Attention for Suboxone? Side effects of Suboxone make it necessary for you to exercise special precautions while using it. As a result, you should follow your doctor’s instructions and medication guide. This way, you can minimize the incidence and severity of the side effects. Suboxone is a very potent medication with a high risk of abuse and overdose potential. Unfortunately, some of the side effects of Suboxone can be serious at times. They include respiratory depression, low blood pressure, jaundice and excessive restlessness. Therefore, you need to use it properly and as recommended. Addiction is a chronic disorder that requires a collaborative effort from family, friends and concerned healthcare staff. A combination of medications and a strong support system often works wonders to help you live a drug-free life. Addiction centers have a qualified team dedicated to providing you all kinds of necessary services. They will help you get back to normal life. The team comprises of well trained and qualified physicians, counselors, psychologists, psychiatrists and auxiliary health care professionals. They all work together to design addiction treatment plans that are specific to your personal needs. Are you or anyone in your family fighting against drug addiction? Do want to learn more about the side effects of Suboxone? Talk to the experts near you. Need one? Click here.